Many fall vegetables have unique flavors, and under proper storage conditions, some types of fall vegetables can last for months. 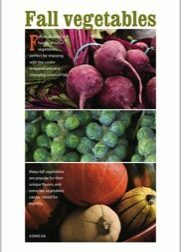 This pamphlet offers tasty recipes and helpful tips for buying, storing, and cooking beets, Brussels sprouts, and winter squash (4 pages). 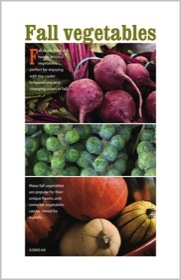 This publication is one in a four-part series helping consumers make the most of farm-fresh vegetables. Click on links to read this publication.